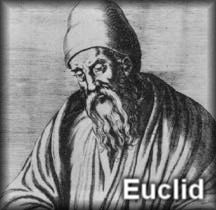 At the age of eleven, I began Euclid, with my brother as my tutor. This was one of the great events of my life, as dazzling as first love. I had not imagined that there was anything so delicious in the world. After I had learned the fifth proposition, my brother told me that it was generally considered difficult, but I had found no difficulty whatever. This was the first time it had dawned upon me that I might have some intelligence. From that moment until Whitehead and I finished Principia Mathematica, when I was thirty-eight, mathematics was my chief interest, and my chief source of happiness. Like all happiness, however, it was not unalloyed. I had been told that Euclid proved things, and was much disappointed that he started with axioms. At first I refused to accept them unless my brother could offer me some reason for doing so, but he said: 'If you don't accept them we cannot go on', and as I wished to go on, I reluctantly admitted them pro tem(=pro tempore). The doubt as to the premisses of mathematics which I felt at that moment remained with me, and determined the course of my subsequent work. The beginnings of Algebra I found far more difficult, perhaps as a result of bad teaching. I was made to learn by heart: 'The square of the sum of two numbers is equal to the sum of their squares increased by twice their product.' I had not the vaguest idea what this meant, and when I could not remember the words, my tutor threw the book at my head, which did not stimulate my intellect in any way. After the first beginnings of Algebra, however, everything else went smoothly. I used to enjoy impressing a new tutor with my knowledge. Once, at the age of thirteen, when I had a new tutor, I spun a penny, and he said to me: 'Why does that penny spin ?' and I replied: 'Because I make a couple with my fingers.' 'What do you know about couples?' he said. 'Oh, I know all about couples', I replied airily.